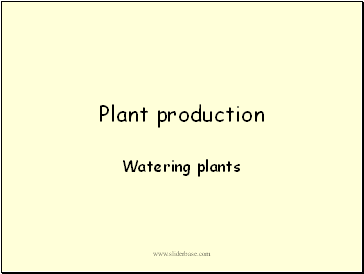 Water keeps plants upright and stops them wilting. 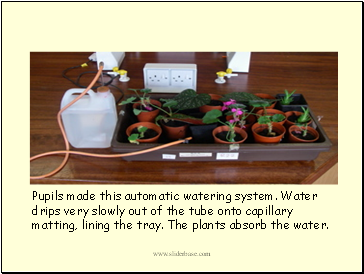 Plants also need water to make food and to carry nutrients through them. 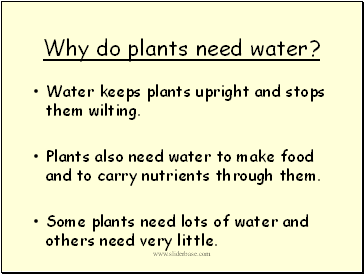 Some plants need lots of water and others need very little. 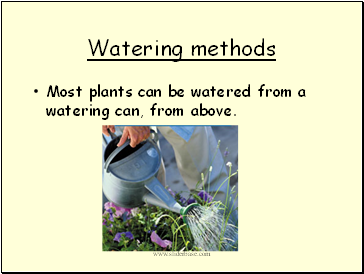 Most plants can be watered from a watering can, from above. 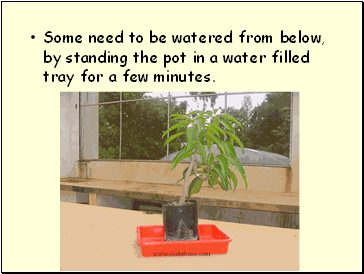 Some need to be watered from below, by standing the pot in a water filled tray for a few minutes. 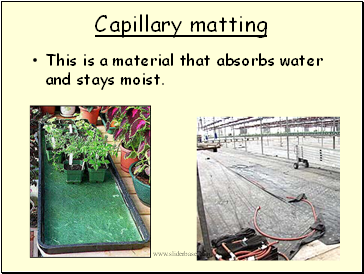 This is a material that absorbs water and stays moist. 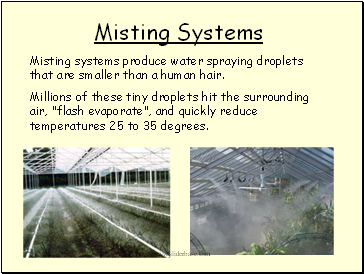 Misting systems produce water spraying droplets that are smaller than a human hair. Millions of these tiny droplets hit the surrounding air, "flash evaporate", and quickly reduce temperatures 25 to 35 degrees. 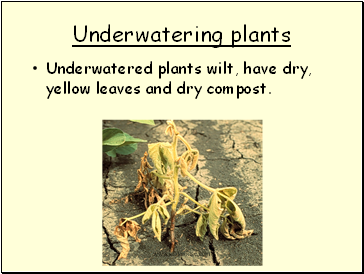 Underwatered plants wilt, have dry, yellow leaves and dry compost. If compost or soil is waterlogged, roots are starved of air. 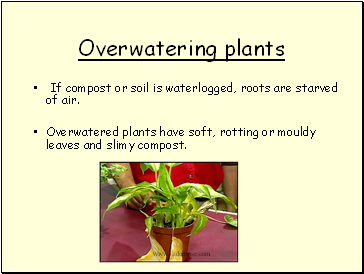 Overwatered plants have soft, rotting or mouldy leaves and slimy compost.